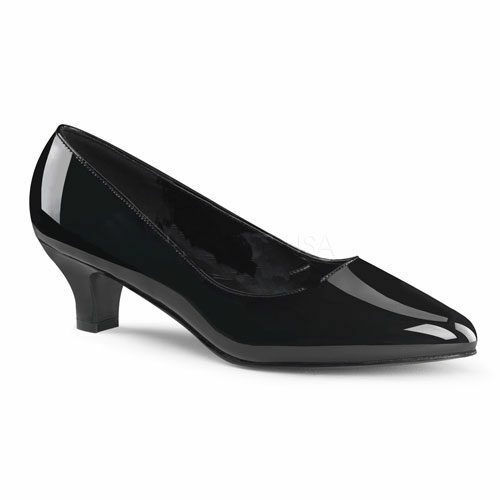 Mary Jane 3 inch heel ankle strap court shoes stylish black patent shoes with pointed toe, round front cut and instep strap with metallic buckle closure on side for a retro look. 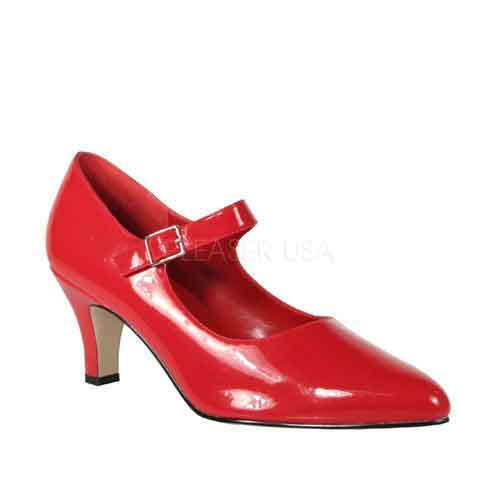 A 3 inch heel (7.5 cm) completes the look. 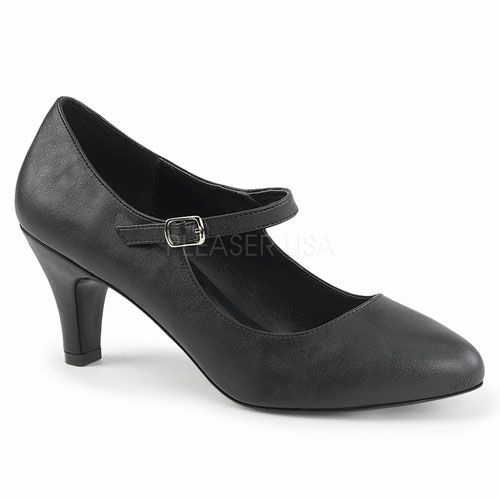 Popular for maid training or Secretary role play these shoes have a stylish yet functional 3″ block heel. Compliments our french maids outfit Fever Maid or our ever popular waitress outfit. Black Patent or Red Patent colour.